Last month, TES Engineering updated its brand with a new look, new logo, and a fresh approach to our markets and services. During our brand launch, we also created two new websites (with our buddies at Studio Graphique) to highlight our expertise and passions. Our top goal when designing the main TES website was to be able to share stories with you. The construction industry is an amazing place and many things happen everyday. We think all of the successes, dramas, and comedies should be shared. We’ll be updating these stories frequently. Also on the website, the Building Knowledge Blog (formerly the MEP Community and the most visited part of our old site) has been updated. Visitors can come here to read free articles written by our engineers about industry news and technical specialties. We’re working on redesigning this information to be easier to understand and more fun to use. The blog features articles for architects, facility operators, tenant coordinators, and other industry professionals. Additionally, we’ve launched a microsite that provides information to our friends in the national retail, development, and hospitality markets. 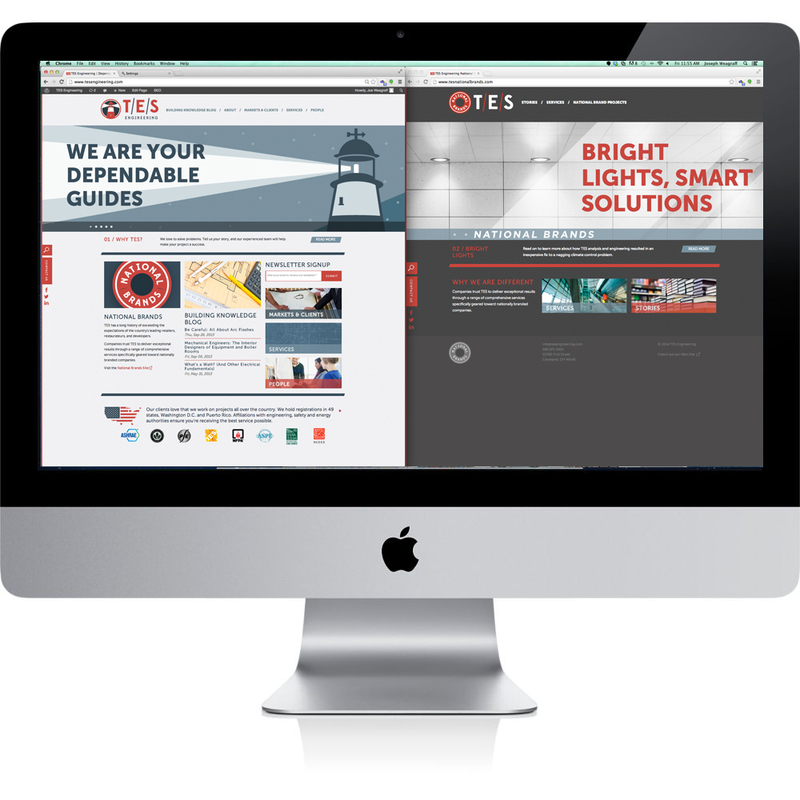 TES National Brands contains stories, projects, and information for one of TES’s biggest specialties. National Brand engineering needs to be nimble and quick, so we hope to provide a special kind of guidance that keeps up with the pace of our restaurant, retail, and other national clients. TES is about a passionate request to be remarkable, we’re about solving complicated problems in the most clever way possible, we’re about partnering with awesome clients to provide crazy great customer service, and we’re about ensuring everything we touch makes lives better and that our solutions are built to last.